The Cryptid Artist Dred Funn is back with another awesome creations. 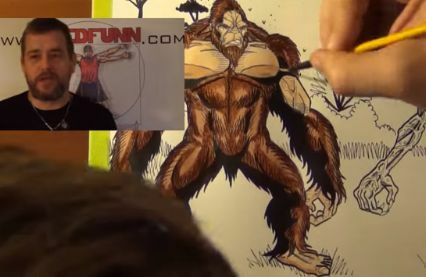 This time Dred takes a look at the Skunk Ape of the Southeastern United States, as well as the Windego of the Northern United States. Dred does some amazing work and this doesn't fail to impress.